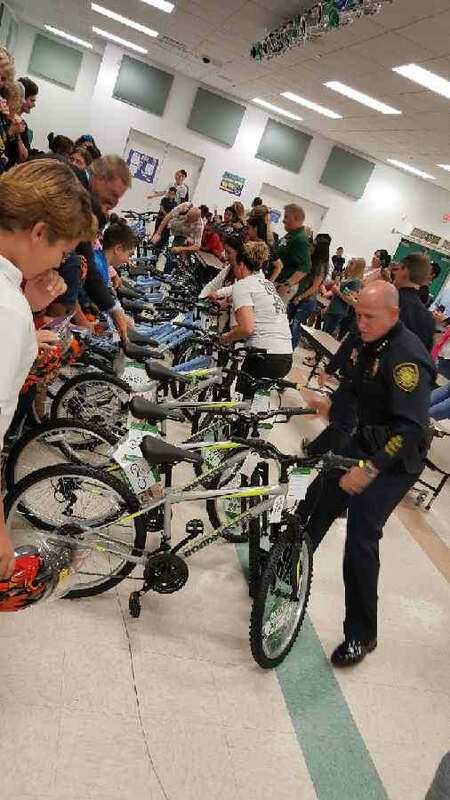 Twenty 4th Grade students reached their goal of 1,500 points for being Intelligent, Kind and Enthusiastic and were each awarded with a new bicycle, lock and (helmets from Lynn Braden). 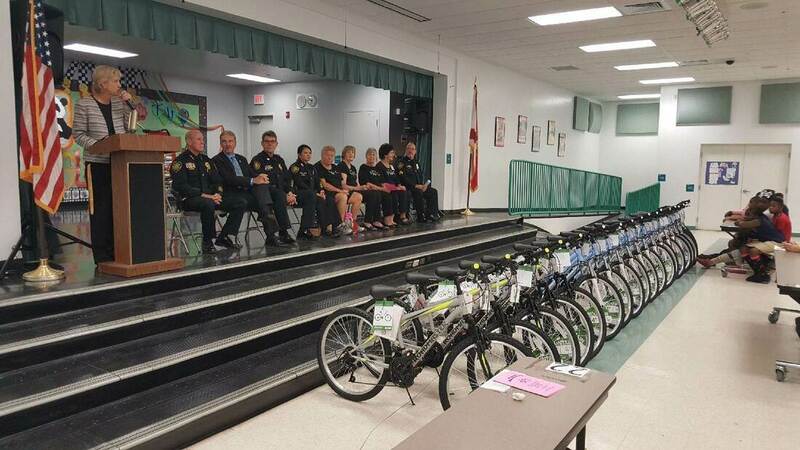 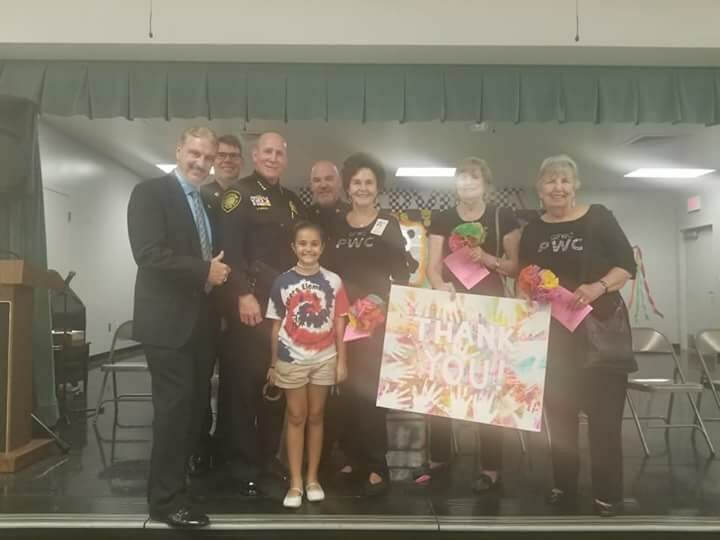 Attending were Principal Dr. Krzemienski, Police Chief Howard Harrison, Council Member Mark Hyatt, School Resource Officer Sorada Toman, GFWC Plantation Woman’s Club Members Pat Hinde, Pat Livingston, Judy McLeod, CIP Chair Gloria Merritt and Police Sergeant of the BIKE Program, Sam Huskisson. 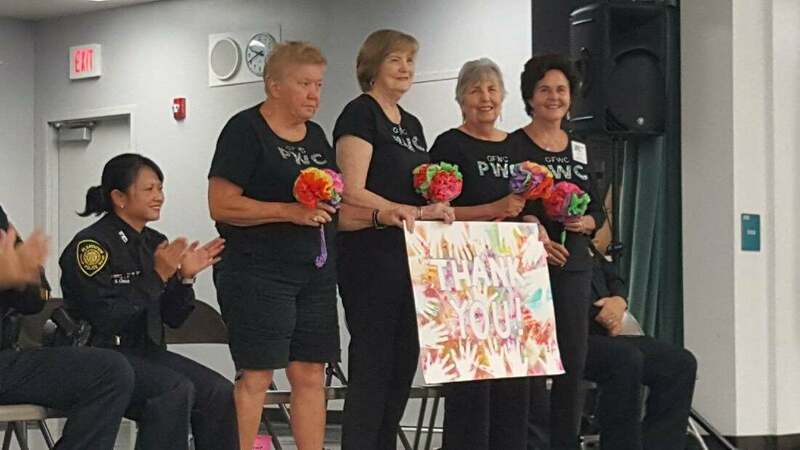 GFWC Plantation Woman’s Club Members received beautiful paper flower bouquets and a Thank You poster from all 20 recipients.